Home » SCD Diet Tips » How to Make SCD Legal Carrots Faster and More Nutritious at the Same Time! How to Make SCD Legal Carrots Faster and More Nutritious at the Same Time! Carrots are the cornerstone vegetable of the SCD diet. They are the first vegetable that Elaine recommends to eat for a good reason. Carrots contain extremely high amounts of carotenoids, which have been linked to fighting cancer, fighting parasites, protecting vision, and reducing heart disease. Basically they are an SCD super food! The worst part about carrots, though, is that they take 3 to 4 hours of boiling before they are fully cooked. While the research is a bit inconclusive about the degree to which steaming is better than boiling, it is a widely accepted fact that steaming vegetables allows them to retain more vitamins and minerals. Not only is it healthier to steam veggies but the best part is it’s faster! For the first batch of carrots you make, I highly recommend you boil them just to get a good idea of what they look like when they are done (and feel that pain of boiling something for 4 hrs). Honestly, I always hated it when my math teachers made me learn the 47 steps to solve a problem before showing me a 2 step process that produced the same result. Therefore, I can’t fault you if you want to try the easy method first. The secret to cutting their cooking time by 3 hours is below! Start by picking up 4-5 pounds of carrots from the store (buy local or organic if you can). Now, we need to wash and peel them. 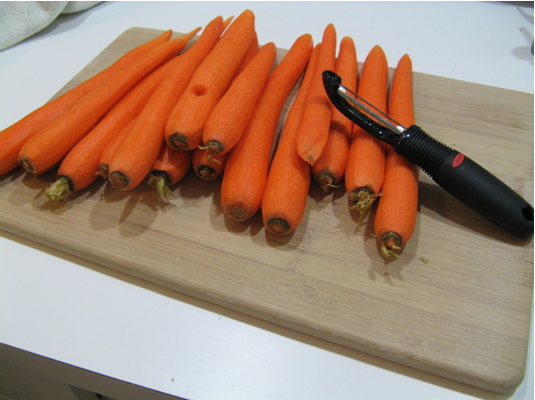 Next, grab the big end of the carrots and use your swivel peeler to run the length of the carrot. Make sure to rotate the carrot and get all sides of it. Then, flip the carrot around so you can peel the area you were holding onto. Next, I set up my steamer. I use an Oster steamer, but you could just as easily steam them in a pot on the stove. 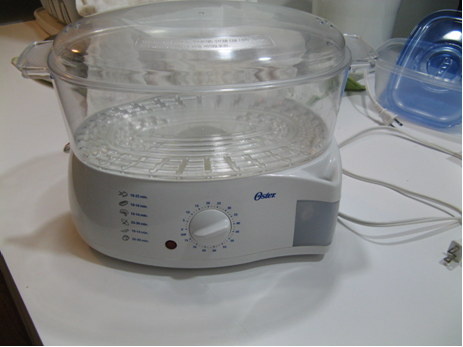 If you have a steamer like mine, fill it up with water and get it set up so all you have to do is plug it in and start it. 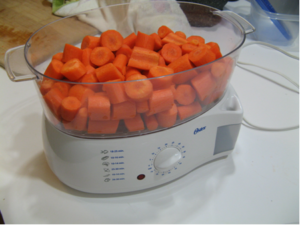 If you’re using a pot to steam, start boiling the water while you prepare the carrots. Now that the steamer is setup, chop off the ends of the carrots and cut them into roughly 1 inch sections and place them right into the steamer. 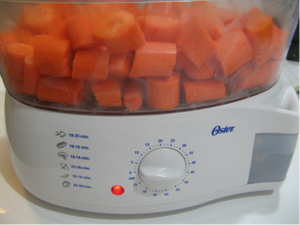 Next, we need to start the steamer… I’ve found that depending on how ripe the carrots are it usually takes 40 to 45 minutes in the steamer to reach the same cooked level as boilng them for 4 hours. If you’re using a conventional steaming pot on the stove, it can take up to an hour and a half. Your fork should easily poke through the carrots. It’s a good idea to check and then give them an extra 5 minutes. Now, dump the cooked carrot chucks into your food processor and blend away. 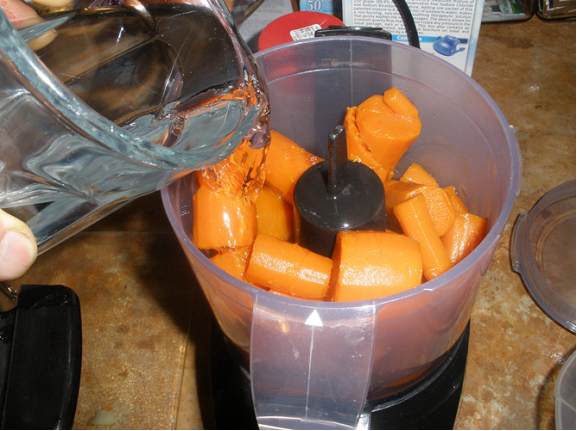 I don’t like adding water to my carrots because I like them to be extremely thick; however, it is sometimes a good idea to add ¼ to ½ a cup of water to the food processor to dilute the carrot sauce a bit (especially for kids because it makes them easier to digest). Great job on making your first batch of SCD legal carrots! If you want to enhance the flavor of the carrots, sprinkle some salt over them prior to steaming them. Let me know if you have any questions or an even faster way to prepare carrots. I used my instant pot to cook my carrots (and my chicken soup). The carrots take about 13-15 minutes to get nice and done. You can also cook them in broth this way; yum! Hope that SCD legal to use the instant pot, it’s become my best friend in the kitchen. I’m still learning what is legal and not. Thanks! Can you use carrots already cut up and washed sold in the bags. carrots are so full of sugar. I am diabetic and want to start the diet but am worried about the carrots and the grape juice. Ridiculous. 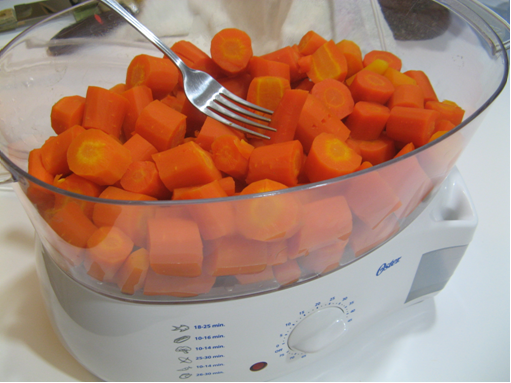 Steam my carrots in a silly cheap steel steamer and one/two inches of water. Longer you boil/cook and more water you use= leach nutrients. Takes approx 4 5 MINUTES to make sweet, al dente perfect. 4 hours is like eating dead vegetable residue. What a waste. Who doesn’t know how to cook a carrot anyway, for God’s sakes. Al dente carrots are definitely not what we are seeking here! It’s really important in the early stages of SCD to eat carrots very well cooked and pureed. W love to hear alternative ideas for preparing the food in a SCD-legal manner – that’s what this community is all about! We appreciate a kind and constructive atmosphere, however. I love the puréed carrot over the meat patty. My mind n body love simple eating. I make SD legal chicken stock FIRST, with a whole, free range chicken carcass. It’s obviously much better than just boiling chicken thighs. I suggest you revise the intro to include bone broth. How could you have missed that? 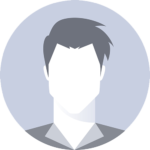 Hi, thanks for commenting. 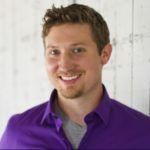 The intro diet includes bone broth made from chicken, and bone broth is an important healing tool throughout the SCD. You can use whole chicken or parts. No matter how much I cook carrots. I simply don’t seem to digest them. They are found in my poo. What to do? I downloaded the free chapter, and found the Intro Diet to be incompatible for a number of reasons, but, my mind is not entirely closed to it, yet. A big stumbling block for me, is the idea that it takes 4 hours to fully cook carrots by boiling. This steaming method would have been a lot easier for me to swallow. Maybe when I’ve suffered enough, and can’t find another solution, I’ll come back to SCD. But, the intro diet seems like it might not work for me, given my sensitivity to chicken and the sugar in the grape juice. You want to cook the carrots till fork tender. Depending on your method, elevation and temp it can vary greatly. Can I make a large batch of the carrot puree and freeze in individual servings? Or is there too much fibre in the peels? If I boiled them for 4 hours, I couldn’t imagine that would be a problem for carrots, but keen to get a second opinion before trying. The peel contains most of any toxins in the carrot and it is much harder to digest. It’s not a good idea to keep it on. Hi Steve, is it totally necessary to peel the carrots? I’ve always thought that peeling takes away some of the nutrients. Thanks for the idea of using a steamer. Carrots take forever to get soft! I make a butternut squash soup and I bake the squash and carrots first. The carrots can take up to 2 hours, even cut small. I’m going to try the steamer.